Six-time World Championship finalist Jimmy White “hopes to God” that Ali Carter is able to beat the same cancer which he overcame nearly 20 years ago. ‘The Captain’, 33, had surgery for testicular cancer on Tuesday and will now undergo a course of chemotherapy. After the operation, Carter tweeted saying he was “feeling very sore” and thanked the fans for their support. “Ali is a fighter and I hope to God he gets better. It puts everything into perspective,” White told BBC Sport. White was diagnosed in 1995 after feeling a lump and had to have a testicle removed in what he describes as “a quick and painless process”. After receiving a phone call from Essex player Carter, who also suffers from Crohn’s disease, White was only too happy to help. “I felt upset for him when I heard the news,” said White, 51. “He rang me and I gave him all the best advice on my experience of it many years ago. “I didn’t think he was going to tell anybody about it, and the next thing I know, it was all in the papers. “I practice with Ali and he is a very dedicated professional. He keeps himself to himself and keeps fit. Carter, a two-time World runner-up, was hoping to return for an event in Rotterdam on 19 July but has been told to rest for a month. 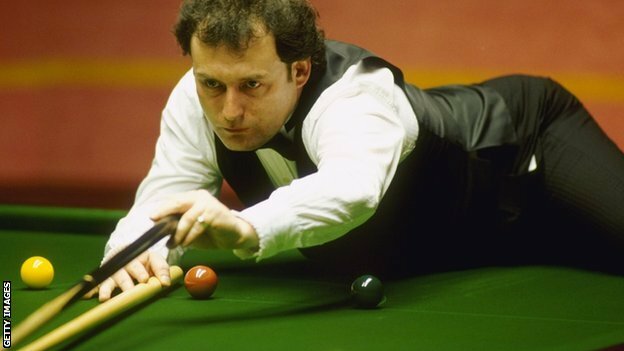 White – nicknamed ‘The Whirlwind’ – was one of the most popular players during the 1980s and 1990s, and explained how he felt when having to break the news of the cancer to his wife and children. “I tried to hide it from everyone, I wanted to have the operation done on my own, but you need to have a next of kin present,” he said. “I phoned up my family and explained where I was. “It was quite scary. Even though you are terrified yourself, you don’t want to put your family through something like that. “Once I told them, everybody came to the hospital to see me. World Professional Billiards and Snooker Association chairman Jason Ferguson said: “Ali’s one of the toughest characters on the circuit. He’s a very fine young man and I really do feel for him. What are the clinical manifestations of cancer of the cecum and ascending colon?